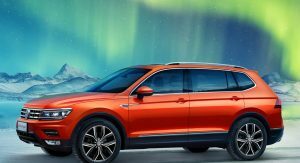 A selection of images of the recently-teased Volkswagen Tiguan Allspace have emerged online showing the Chinese version in all its stretched-wheelbase glory. 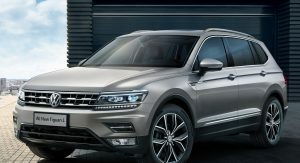 In China, the model won’t be dubbed the Tiguan Allspace and is instead the Tiguan L. Additionally, these images reveal that Chinese bound examples won’t get seven seats like other markets. 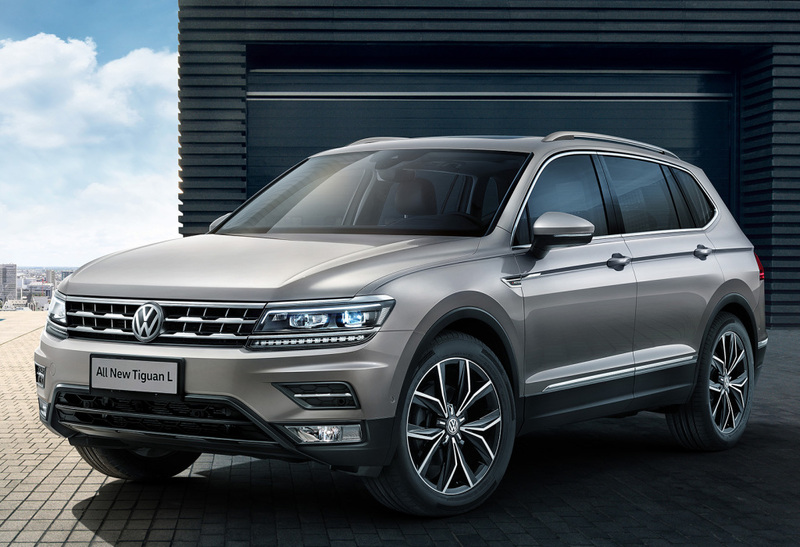 Instead, the 110 mm longer wheelbase will simply improve rear legroom and result in greater luggage space. 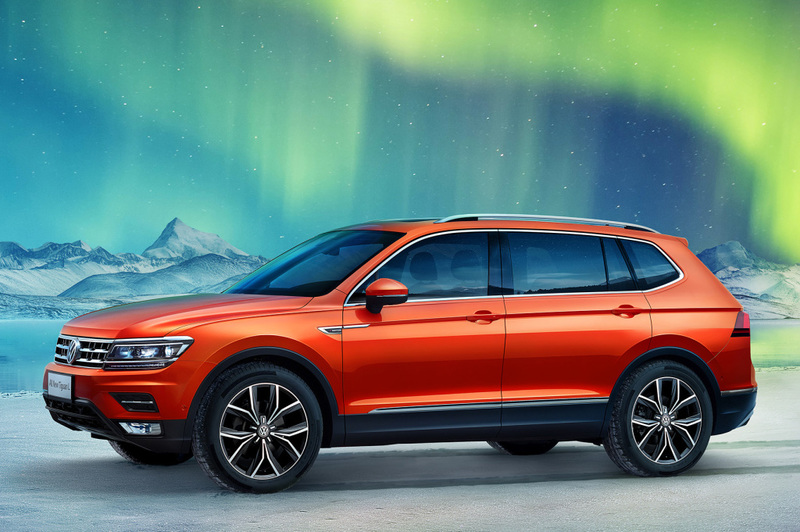 We’ve known what the Tiguan Allspace would look like for quite a few months but these pictures provide us with an even clearer view of the changes and shows an almost fluorescent orange example looking particularly impressive. 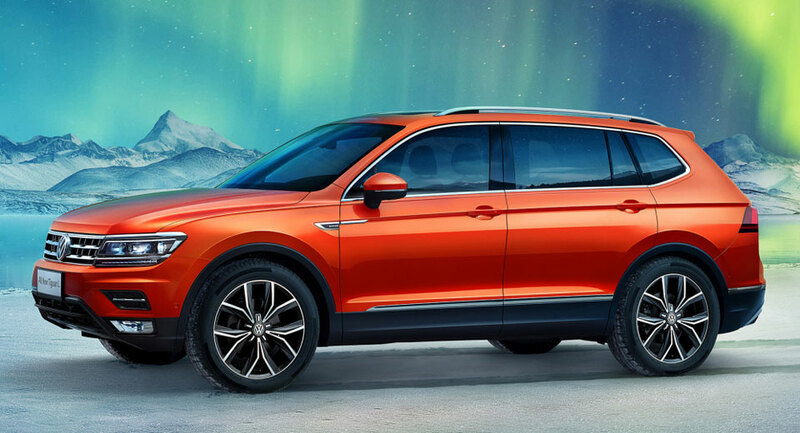 Exterior wise, the only giveaway over the regular Tiguan are the slightly extended rear side windows and doors and the more significant rear overhang. 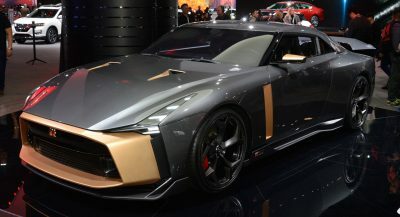 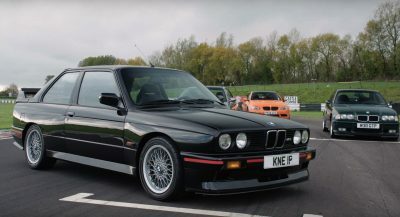 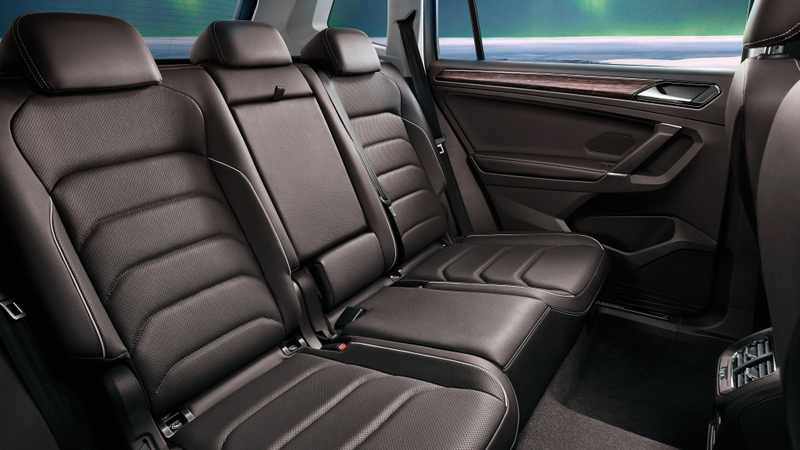 Inside, this Chinese example has been adorned in brown leather and rear legroom appears significantly greater than the regular model, a feature that will inevitably prove particularly popular in the country. 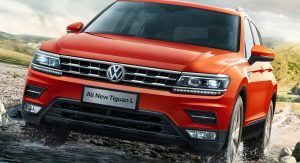 Volkswagen recently confirmed the model will debut at the Detroit Auto Show 2017 in early January and will fully detail the long-wheelbase Tiguan range there. 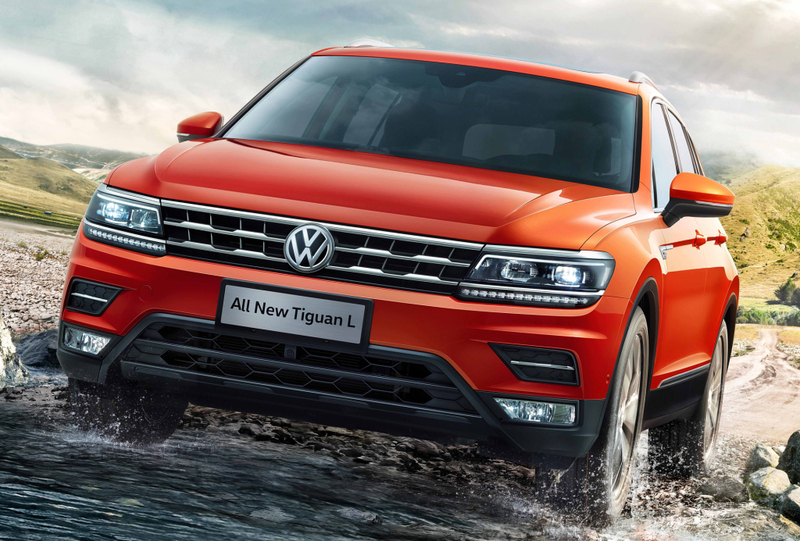 In the meantime, we can say with almost total certainty that the same powertrain lineup of the normal Tiguan will be available.